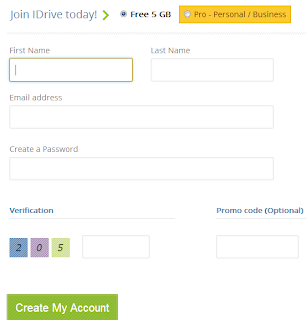 Do you need to backup important data online in safe place .Now Get 5 GB From IDrive Remote data backup online for free.Online backup for unlimited PCs, Macs, iPhones, iPads, and Android devices into a single account! Rapid Serve for quickly shipped restores of large data sets . Go to the registration page from here "IDrive Account Signup ". Fill all required fields in the registration form . Click Create My account . 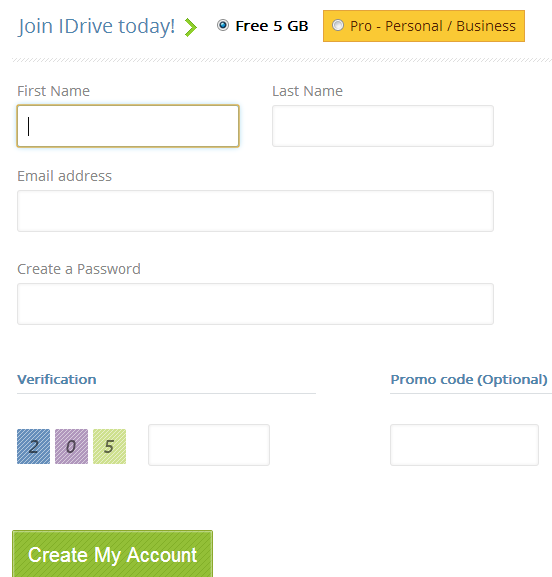 Install IDrive Remote Data Backup Software to your computer . 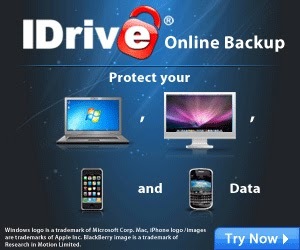 Open IDrive Remote Data Backup Software , you will need to sign in to your IDrive Account. 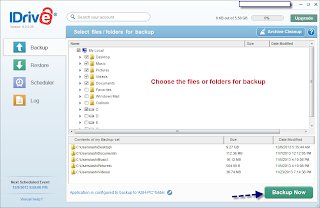 If you want backup data so click on Backup from the left menu ,Choose the partition or folders or files that you want to backup online then click backup now .Note the backup speed depend on your internet connection speed . You can check your files online in IDrive ,see this picture . 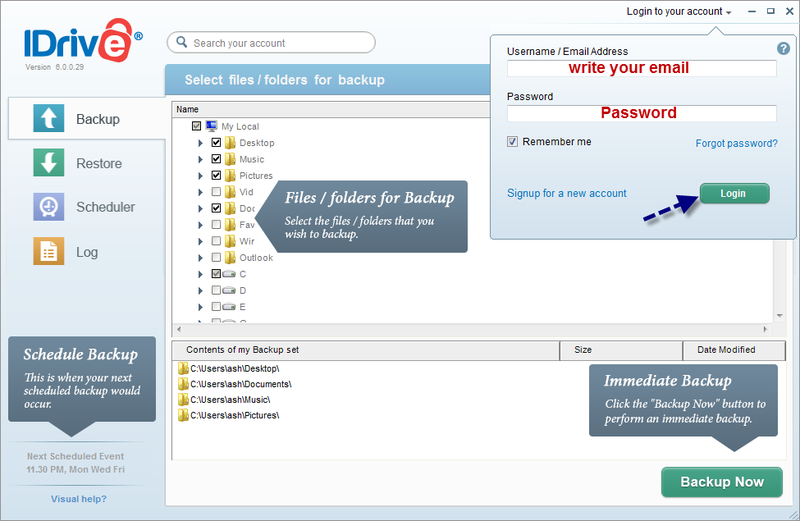 To restore your data just click on Restore then choose the files then restore now . 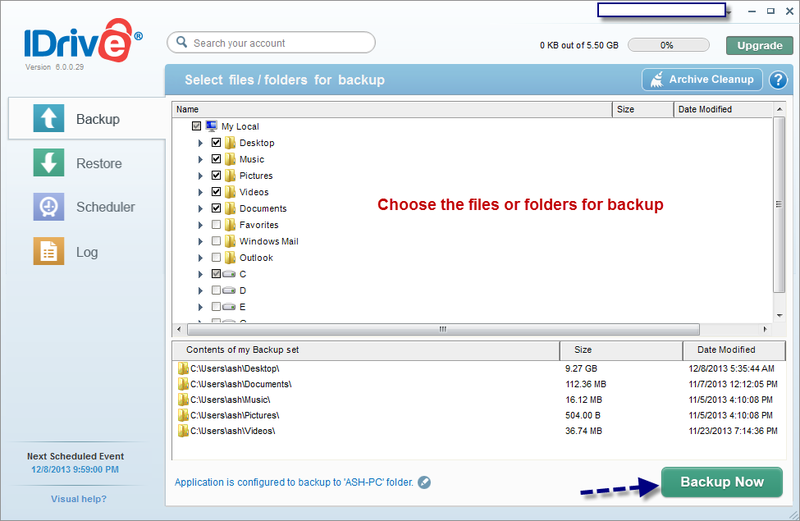 Now we finish explaining how to backup data online with IDrive ,Please if you like this article please share it with your friends . 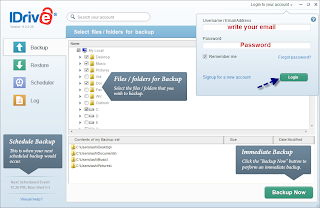 I will be happy if you asking me , please leave your comment on this article "IDrive Remote Data Backup Software tips "